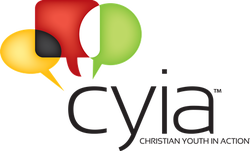 If you are interested in serving, you can download the 2017 CYIA brochure above. Please email us at wrcefnova@gmail.com, so that we can send you an application pack. Please include your name, age, and address. We need to get the application back by May 1st. For five consecutive days, 1-1/2 hour each day, located in parks, and neighborhoods throughout the Northern Virginia area. Children gather to hear Bible stories, sing songs, learn Bible verses, listen to a missionary story and hear the Gospel clearly presented. It is open to all boys and girls between the ages of five and twelve. 5-Day Clubs are taught by trained Christian Youth in Action teens or a CEF trained teacher. If you would like to host a 5-Day Club or Seasonal Party Club please contact us. 1) You need to fill out the Child Protection Forms before working with children. If you have never filled out the form, please fill out the form from "Volunteer Application" of the top menu. 2) Press SIGNUP at the Volunteer Signup list below, it will lead you to the Signup link page. ​3) In the signup page, you can fill out the time slot that you want to work in. 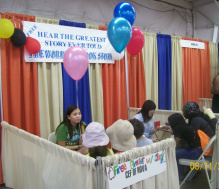 1) CEF booth is inside the commercial building (air-conditioned building) of the Fair ground. 2) Prince William Fair has some special days: Kids Friday (Aug.11th, Friday) / Half Price Day (Agu.14th, Monday) / $2 Tuesday (Aug.15th, Tuesday) / Ladies Night (Aug.16th, Wednesday). Mostly, these days and weekends are busier days for us to share the Gospel with people. 3) We have only two chairs for the volunteer because of the limited size. If more than two volunteers come to the fair at the same time, that will be fine. They can take turns to share the Gospel. 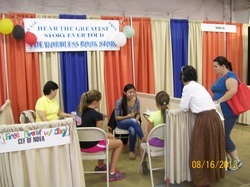 4) Volunteers should know how to present the Wordless Book story with verses in 7 -10 minutes, because Parents don’t want to wait for their kids around the booth for over 10 minutes. 5) We have two or three extra passes available for volunteers to enter in the fairground. 6) You can support this ministry by prayer during the fair. 7) Physical Address of the fair ground is 10624 Dumfries Road, Manassas, VA 20112. You can visit their website at www.pwcfair.com to check it out. 8) If you have any questions, feel free to email to Wayne (wrcefnova@gmail.com) or EJ (livingwords@gmail.com). 9) NO DRESS CODE. Whatever you want to wear, just wear it, as long as the Lord would OK what you are wearing. BE NEAT! So, on the weekends and these specials day, we need more workers, because more families and children will visit the fair. 1st Day: Kid's Friday (Aug. 11th) 5:00 p.m.~ 9:00 p.m.
2nd Day: Saturday (Aug. 12th) 12:00 ~ 9:00 p.m.
3rd Day: Sunday (Aug.13th) 12:00 ~ 9:00 p.m.
4th Day: Monday / Half Price Day (Aug.14th) 5:00 ~ 9:00 p.m.
5th Day: Tuesday / $2 Day (Aug.15th) 2:00 ~ 9:00 p.m. .
7th Day: Thursday (Aug.17th) 5:00 ~ 9:00 p.m.
8th Day: Friday (Aug.18th) 5:00 ~ 9:00 p.m.
9th Day: Saturday (Aug.19th) 12:00 ~ 9:00 p.m.
** Praise the Lord for the fair ministry in 2016. We shared the gospel with 401 people and 101 people (including teens and adults) made decisions for the Lord.